Any 10" pizza, half parmesan, chips, salad & a tub of garlic sauce. 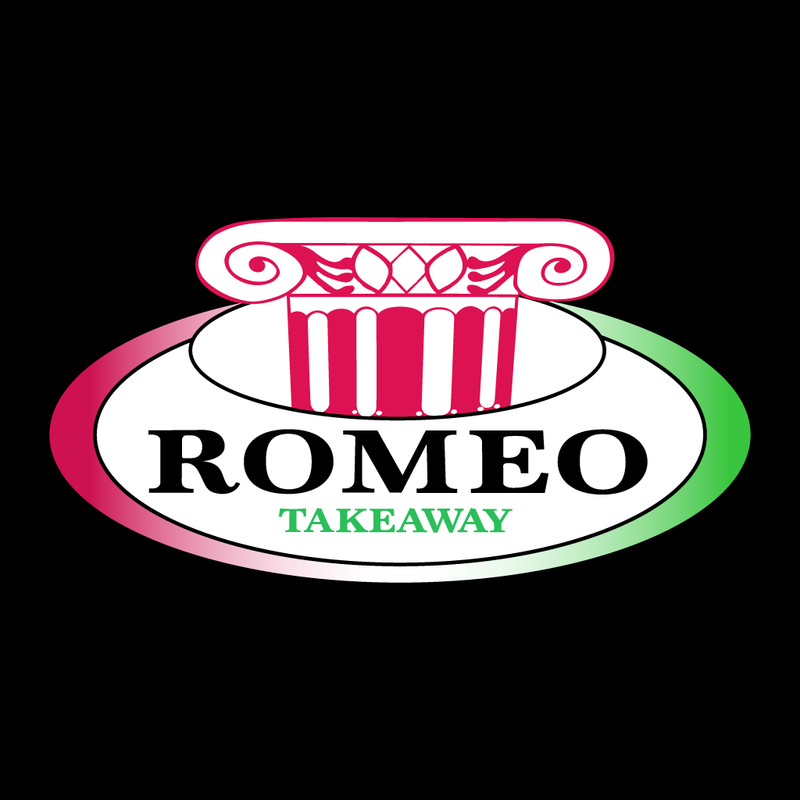 Any 2 x 10" pizzas, portion of chips & a portion of kebab meat. Any 12" pizza, half parmesan, chips, salad, quarter pounder beefburger with chips, a portion of kebab meat & a tub of garlic sauce. Any 2 x 12" pizzas, portion of chips, kebab meat, tub of garlic sauce & a 1.5L bottle of Coca-Cola. Potato wedges baked in bechamel sauce, cheese & a choice of dip. Potato wedges baked in chilli con carne, cheese & a choice of dip. Tomato, cheese & cheddar cheese. Tomato, cheese, mushrooms, onions, peppers & garlic butter. Tomato, cheese, onions, peppers, mushrooms, sweetcorn & pineapple. Tomato, cheese, onions, mushrooms, chilli, jalapenos & sweetcorn. Tomato, cheese, ham, mushrooms, onions & garlic butter. Tomato, cheese, ham, peppers, jalapenos & garlic butter. Tomato, cheese, chicken, onions, mushrooms & garlic butter. Tomato, cheese & chicken marinated in spicy sauce. Tomato, cheese, chicken, onions, sweetcorn, chilli peppers & garlic butter. Tomato, cheese, chicken, ham, pepperoni & garlic butter. Tomato, cheese, tandoori chicken, onions & jalapenos. Tomato, cheese, chicken, onions, mushrooms & BBQ sauce. Tomato, cheese, tuna, onions & peppers. Tomato, cheese, chips, donner meat & sauce. Cheese, chicken, ham & garlic butter. Tomato, cheese, chicken, pepperoni, salami & ham. Tomato, cheese, mushrooms, bolognese, garlic butter & chilli. Tomato, cheese, peppers, onions, pepperoni, chilli & garlic butter. Tomato, cheese, pepperoni, peppers, jalapenos & garlic butter. Tomato, cheese, pepperoni, onions & jalapenos. Tomato, cheese, donner meat & sauce. Tomato, cheese, chicken, ham, mushrooms & garlic butter. Tomato, cheese, prawns, tuna, onions, mussels & garlic butter. Tomato, cheese, pepperoni, onions, mushrooms & sliced tomatoes. Folded pizza with 4 toppings. Served with pitta bread, choice of sauce & salad. Chicken pieces marinated lightly in spices. Donner meat, chicken & shish kebab. Donner meat, chicken tikka, chicken tandoori, chicken kebab, seekh & shish. Served with Bechamel & Cheddar cheese, chips & salad. Pepperoni, ham & garlic butter. Mushrooms, ham & garlic butter. With chips, donner meat & garlic sauce. With chips & garlic sauce.